Trend reports tell us that pet owners are poised to spend over $200 million on holiday gifts for their pets this year, and clearly there's something about being a pet lover that makes us want to spoil our furry friends. While it's fun to present your pup or cat with a new toy or a cute sweater, many people also use this time of year to give either time or money to a greater and more lasting good. There are plenty of animals in need, and the holidays are an excellent time to remember that it doesn't take much to make a difference. Want to do more than buy something your pet will eat, chew, or get tired of within a few days? Here are some ideas for giving gifts that last far longer by improving the lives of animals. Foster A Pet - Many shelters and rescue groups are overwhelmed all year, but stepping up to host a pet in your home during the busy holiday season can be especially helpful. One of our favorite local animal groups, Austin Pets Alive!, even suggests fostering as a great alternative to buying a new puppy for Christmas (which often is not a good idea), because you can take a “practice run” of sorts while also making room at a shelter and saving a life. Give Time - Most facilities that house animals could always use more help, so contact the ones in your community to see what they need. Cleaning, maintenance, or the fun tasks like walking dogs and playing with cats for even a few hours of your time could make a difference, and going with a family member or group of friends could turn into a fun holiday tradition. Donate Money - What do you buy for the person who has everything? Consider making a donation in their name to the Humane Society or other pet-related cause. The continuing effects of Hurricane Sandy and typical problems like shelter overcrowding mean there are plenty of opportunities to give, and spending money where it's truly needed adds extra significance to the season. Will you choose to give meaningfully rather than shower your pets with toys they'll soon forget (or at least balance the two a bit)? 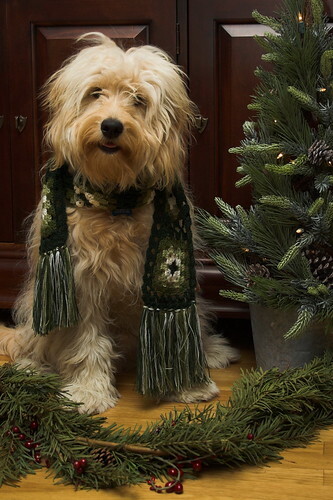 Tell us how you'll spread some pet-loving cheer this holiday season!